Click here for a copy of our employment application. 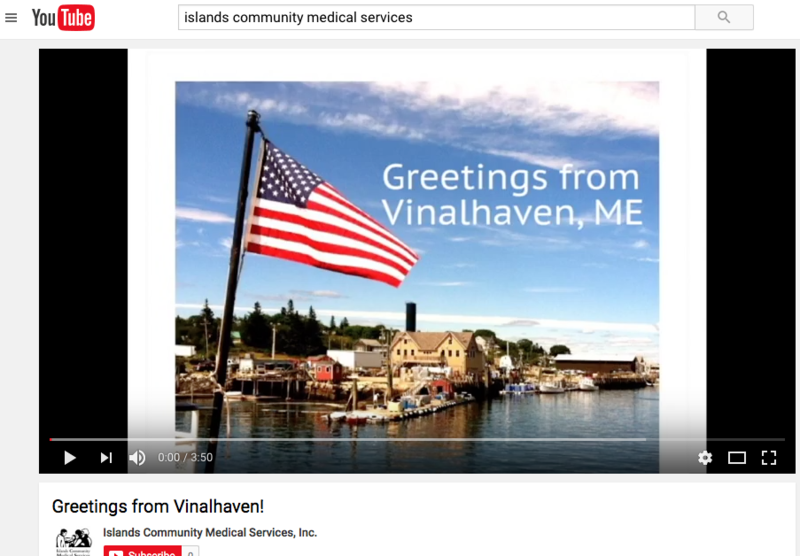 Visit us on YouTube to see more of our beautiful Vinalhaven. ICMS is seeking an experienced, compassionate Nurse Practitioner or Physician Assistant, with direct experience in emergency medicine and a passion for family practice. We offer you a truly unique experience - living on a scenic island off the coast of Maine and practicing the full spectrum of family medicine with the support of strong leadership and experienced clinicians. We balance the demands of practicing medicine on the island with an exceptional clinician rotation schedule that affords you time to explore all that Vinalhaven and Maine have to offer. Outdoor enthusiast enjoy local hiking, fishing, swimming, biking, boating, sailing, snowshoeing and kayaking. A ferry ride, or short flight to the mainland opens the door to endless experiences. 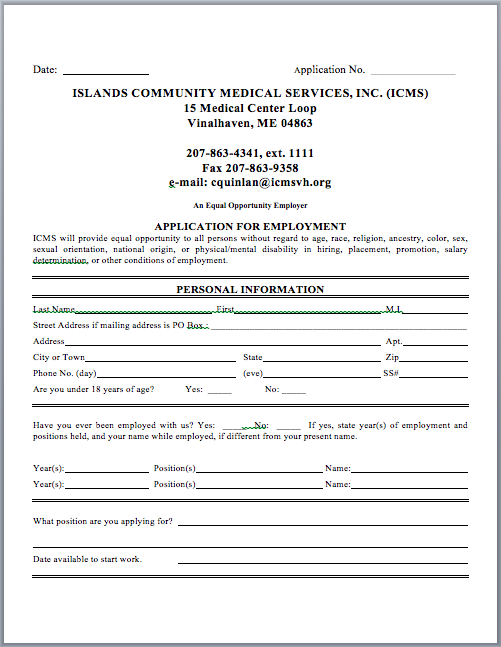 For more information, contact Claire Zoellick, Human Resources Manager at Islands Community Medical Services, Inc. Living and Practicing on Vinalhaven, ME. Come enjoy Maine life in a close-knit community and be a part of our team at Islands Community Medical Services. We are a well-established FQHC, located in beautiful Penobscot Bay, 12 miles off the coast of Rockland. Vinalhaven has a year-round population of 1,200 residents, which grows to more than 4,000 in the summer. The island has a K-12 school, renovated library, restaurants and stores, working waterfront, miles of public access to the shore and a vibrant artistic community. Maine’s land and seascapes serve as a year-round playground for outdoors enthusiasts and those who appreciate nature and a vibrant four seasons. From the mainland, it's just a 90-minute drive to Portland or Bangor, two of Maine’s largest cultural hubs, or just an hour’s flight to Boston.